Islamabad, February 26: The pre-emptive strikes by Indian Air Force (IAF) targeting a Jaish-e-Mohammed (JeM) camp in Balakot has evoked a sharp reaction from the Pakistan Army. The Inter-State Public Relations (ISPR) - the military's communication wing - has warned India of a befitting retaliation at a "time and place of our choosing". 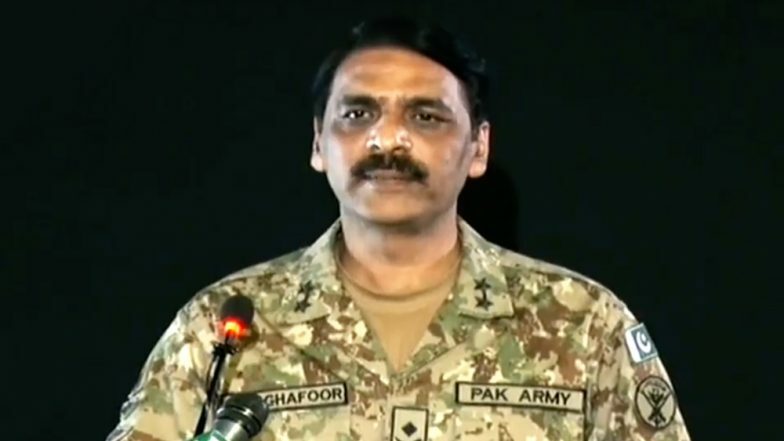 Director General, ISPR, Major General Asif Ghafoor, told the press on Wednesday that Pakistan would be "surprising" India with an unprecedented move. He transferred the onus on Indian Prime Minister Narendra Modi for forcing Islamabad to climb the escalation ladder. 'Fictitious'; 'Deserves Retaliation': Pakistan's Reaction to 'Surgical Strikes 2' Smacks of Contradiction. "You (India) told us that 'we will retaliate'. You wanted to surprise us. But nothing surprises Pakistan. We have fought for 15 years to bring peace and stability in our region," he said. "Now, we will be surprise you - at a time and place of our choosing. We don't want a war, but we will take any necessary action," Major Ghafoor added. The Pakistan Army has also debunked India's claim of neutralising over 300 Jaish militants in the pre-dawn raids. "Our enemies lack intellect. This is a blatant lie. If 350 people would have been killed, there would be at least someone on the group to support their claim," the DG, ISPR said. Earlier, the National Security Committee (NSC) convened by Prime Minister Imran Khan directed the armed forces and civilians to "prepare for all eventualities". The statement issued by the top security body further fueled the war hysteria on both sides of the border.